Please accept my resume for your kind consideration for a suitable post in your esteemed company. 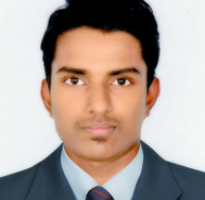 I have done Master’s degree in MBA and having 3 years of work experience in the finance and accounts field. Good knowledge in Preparing General ledger, Vendor Invoice, inventory management, Accounts payables , Vendor Payment, Vendors Queries,Advance payment, Client service, Invoice processing,Preparation of financial statement, Handled Accruals, Preparation of month end reports, petty cash and other day to day accounting routine till finalization of accounts. Well versed with ERP systems, SAP, Tally, MS Excel, Word, and PowerPoint etc. I hope that such a vacancy exists within your company. I have detailed my skills in the attached copy of my CV for your perusal at your earliest convenience. Thank you for your time, consideration and I look forward to have a positive response from you. Accounts payable: • Reporting on client’s liability on weekly basis as per aging. • Reporting on Production invoices status with complete reasons for holding the payments. • Reporting on daily metrics to the management using trend analysis. • Reporting on Accruals on monthly basis to client and Conduent management • Reporting on status of right now claims tickets raised by supplier and closed tickets ticket. • Reporting on discrepancy invoices with reasons which were held by Conduent and circulating the report to all buyers and respective approvers to fix the issues. • Handling all escalation emails and queries from clients and suppliers and fixing the issues within TAT. • Rigorous follow-ups with client and supplier on fixing the discrepancy invoices. • Handling calls from suppliers and client on daily basis and assisting them with their request. • Reporting on invoices which are pending for approvals with buyer on weekly basis. • Supporting internal and external auditors with samples and detailed description of the process. • Running potential duplicate report, error report, withhold invoices report and clearing the invoices for payments. • Supporting team on invoice processing during high volumes. • Conducting meeting with team on weekly basis about the team performances and improvement areas to run the process and team smoothly. Preparing financial statements ( P&L, Balancesheet,etc ) • Accounts Payables invoice processing for credit supply. • Handled cash book and preparing bank reconciliation statement. • Handled Petty cash book for day to day expenses. • Accruals handling & Month end reports. • Analyse Financial Position of the Organization and Prepare project report. • Team meeting conducting on weekly basis about the individual performance. Send a message to Ramanand.